There are 449 active and retired Catholic bishops in the U.S. overseeing 195 dioceses and archdioceses (plus one apostolic exarchate and one personal ordinariate). Four cardinals (Daniel DiNardo, Timothy Dolan, Sean O’Malley, and Donald Wuerl) lead archdioceses in Boston, Washington, New York, and Galveston-Houston. Over 38,000 priests, nearly 50,000 religious sisters, and more than 4,000 religious brothers served almost 17,500 parishes plus nearly 5,400 Catholic elementary schools, 1,200 Catholic secondary schools, and 225 Catholic colleges and universities, among other venues of religious activity, as of 2014. 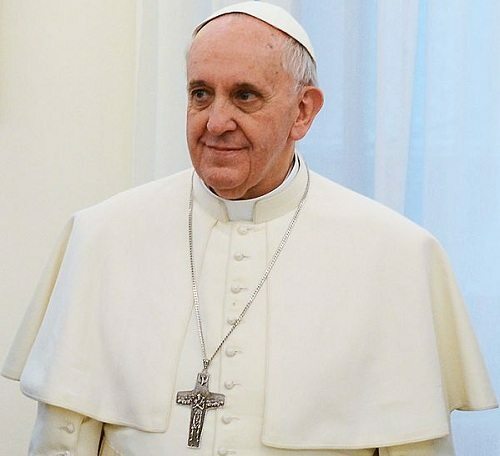 McCoy takes special pains to note how few American Catholics are aware of the Pope’s encyclical, “On Care for Our Common Home” (Laudato Si’), and the role on the part of the bishops in doing little to talk about or promote it. There are too many special interests, and economic interests easily end up trumping the common good and manipulating information so that their own plans will not be affected.… Consequently, the most one can expect is superficial rhetoric, sporadic acts of philanthropy and perfunctory expressions of concern for the environment, whereas any genuine attempt by groups within society to introduce change is viewed as a nuisance based on romantic illusions or an obstacle to be circumvented.… In the meantime, economic powers continue to justify the current global system where priority tends to be given to speculation and the pursuit of financial gain, which fail to take the context into account, let alone the effects on human dignity and the natural environment.